Proud history of supporting our local pump and reliability clients. Founded in 1993, Westpower is headquartered in Calgary, Alberta, Canada. 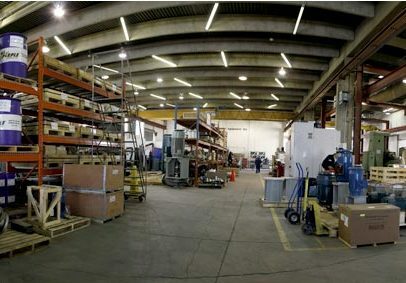 We have a full-service repair shop in Edmonton, Alberta and two facilities in Calgary. With early beginnings operating primarily as a manufacturer’s agent supplying new and remanufactured pumps to Alberta’s oil and gas industry, today Westpower specializes in: custom design manufacturing and maintenance of engineered pumps, engineered pump turn-key packaged systems, Royal Purple lubricants and a broad range of reliability products, IMPACT-nTM nano coating services, part and repair services and field optimization. From the inception of our organization, Westpower has proudly represented CPC Pumps International (API 610 centrifugal pumps) and through the past quarter century and have expanded our product line to include internationally recognized manufacturer of reciprocating, vertical turbine, progressive cavity pumps, and metering pumps and our own Mabre process pump line. Westpower now offers a complete engineered pump product line suitable for all oil and gas, industrial and municipal applications. Complementing our broad selection of pumps, our 20,000 sq. ft. packaging facility is dedicated specifically to the engineering, manufacturing, and assembly of fit-for-purpose and custom engineered turnkey pump packages. Westpower maintains an APEGA membership and full ABSA/ASME, CWB welding certifications, allowing us to meet all of our customer’s requirements. Our repair facilities are equipped with state-of-the-art measurement, design, rapid prototyping, testing software, and equipment, giving us the capability to manufacture and service pumps operating in a broad spectrum of industrial and API applications. Our in-house engineers have an industry renowned reputation for their ability to find cost-effective solutions for the world’s toughest pump applications. We have been recognized for high-quality of work: overhauling all styles of engineered and industrial pumps. Our highly skilled staff is able to investigate, understand and improve your machinery through root cause failure analysis and engineered design enhancements. As one of the largest pump companies in western Canada, we have the expertise, equipment, and services to provide you with a solution for your application.